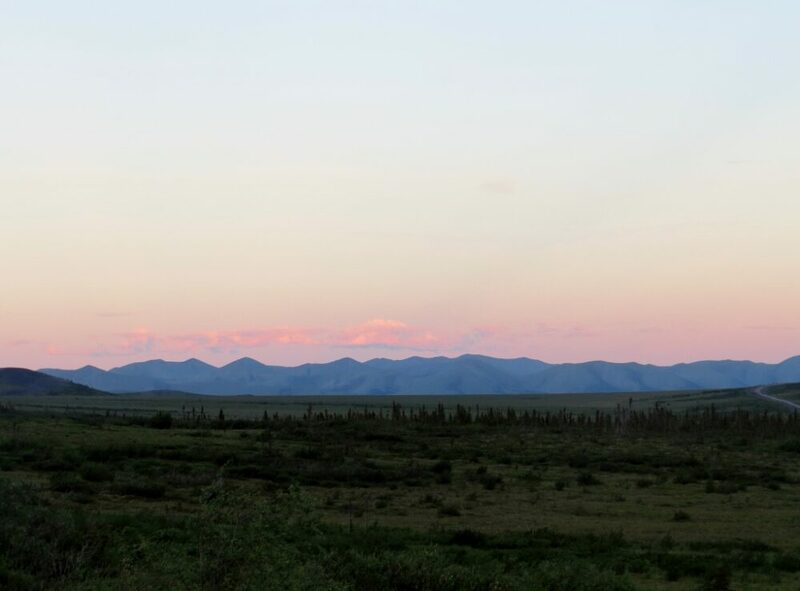 Simply put, the Dempster Highway is one of the best road trips in the world. It’s a one way trip to the Arctic, through the middle of tundra, jagged mountains and limitless wilderness. The wilderness here is rich, barren, lush and desolate all at the same time. This is the Arctic that you never imagined. 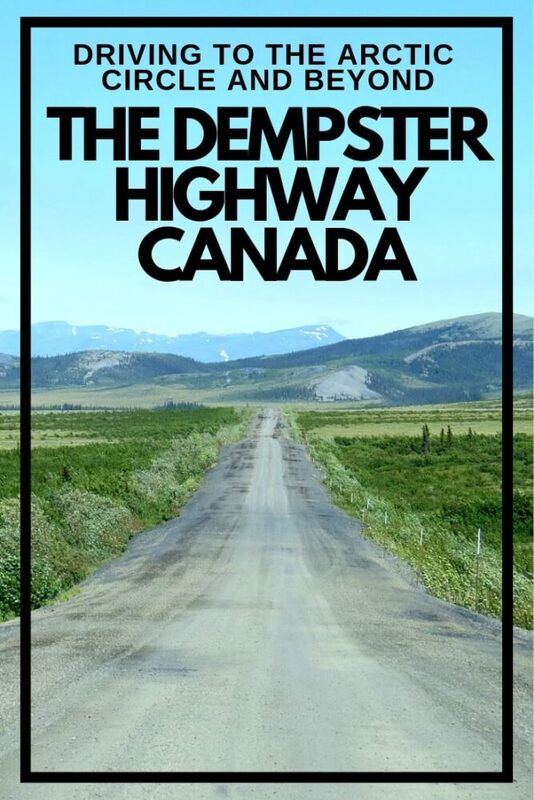 The Dempster is Canada’s only highway crossing the Arctic Circle. 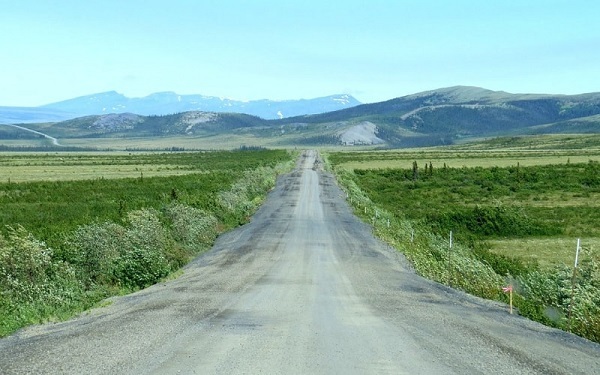 The 735km-long Dempster Highway was built in 1979 and roughly follows the traditional First Nation transportation route between the Yukon and Peel river systems. 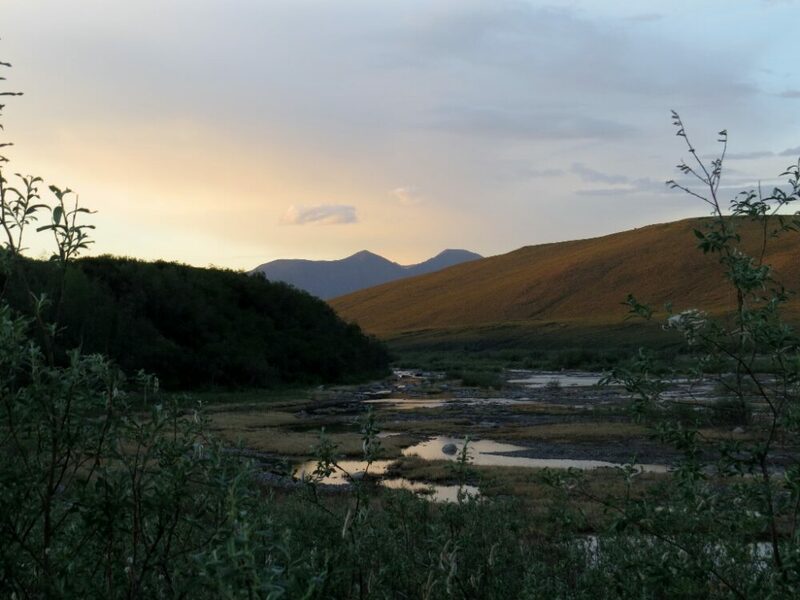 We spent an incredible three weeks on and around the Dempster Highway – read on for tales from the road plus a practical guide to completing this epic trip yourself. 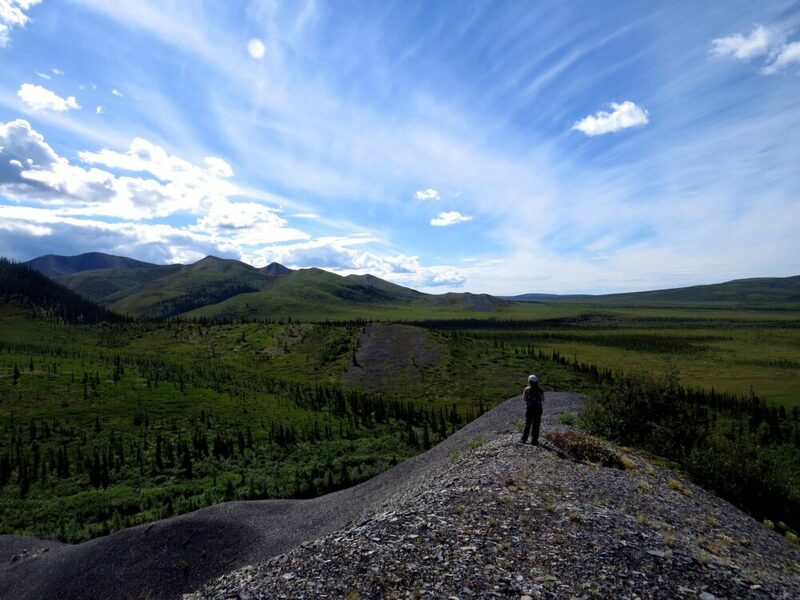 Driving the Dempster Highway is a one-of-a-kind experience. The start of the highway is about an hour from Dawson City, itself an interesting gold rush outpost. 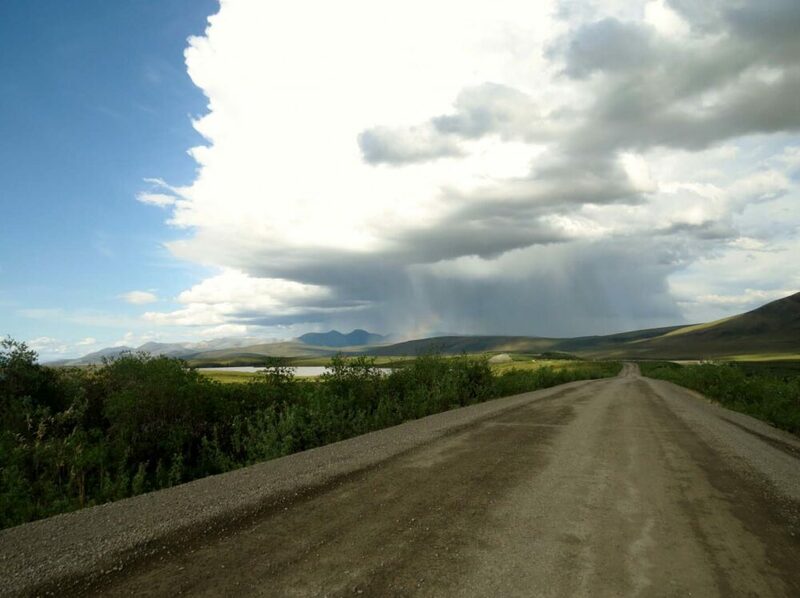 From here, the road travels through Tombstone Territorial Park and then there is nothing for the next 300km. Well, nothing in terms of human life aside from a random RV or car maybe every couple of hours. 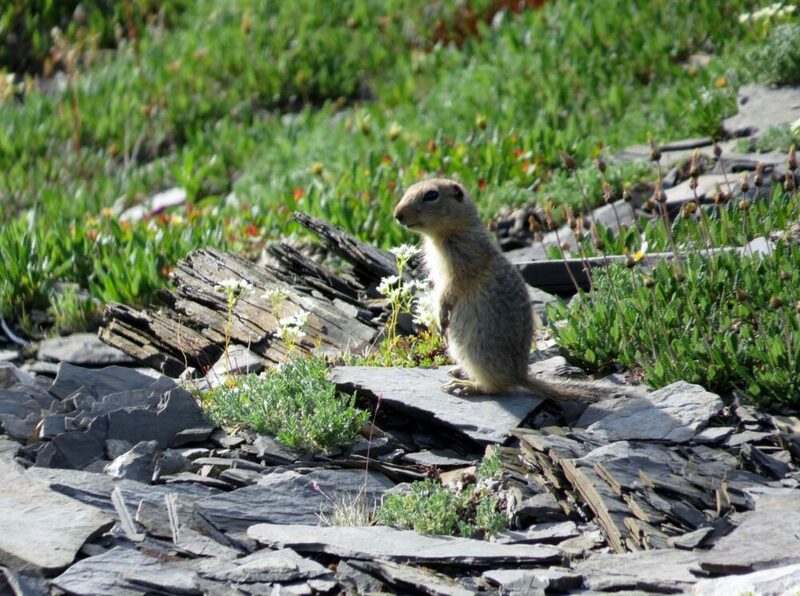 There is however so much else; the unexpectedly vibrant flowers, stunted trees, a huge variety of animals from grizzlies and porcupines to black foxes and moose. The Dempster Highway has a reputation for being rough and a real-tire eater, but we were actually pleasantly surprised (even with it claiming one of our own all-terrain tires). About an hour before we reached the Arctic Circle, our GPS started to go a little crazy. Apparently sunrise would now be at 6 pm and sunset at 10 am. Arriving at the official line of latitude (405km in) a little while later, it just gave up. We would later toast our drinks at midnight to celebrate my 25th birthday, also the summer solstice. For the next 50 or so days there would be 24 hours of daylight. 24 hours of daylight was exciting, novel and amazing all at once but it was hard to sleep. 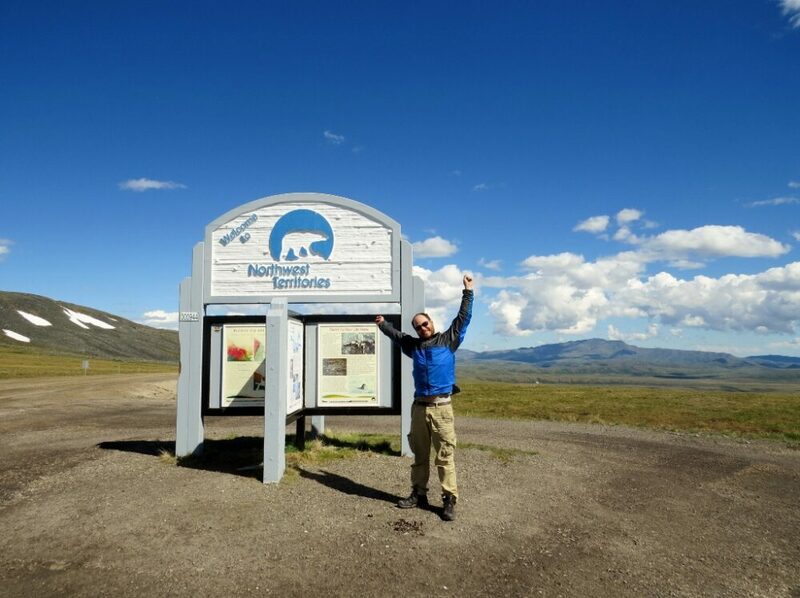 The town of Inuvik is found at the ‘old’ end of the Dempster Highway (the all-season road was extended to the town of Tuktoyaktuk in 2018), and while we enjoyed our time there, it was also 33 degrees Celsius for the entirety of our stay, 24 hours a day. It was a bit intense. For other purposes, 24-hour daylight is awesome. We fished, drove and hiked late at ‘night,’ getting back on the road at whatever time we pleased. The fishing on the Dempster, by the way, is productive. For once, we actually caught plenty of fish. One of the most unexpected parts of the trip was how much we learned about local First Nation culture. 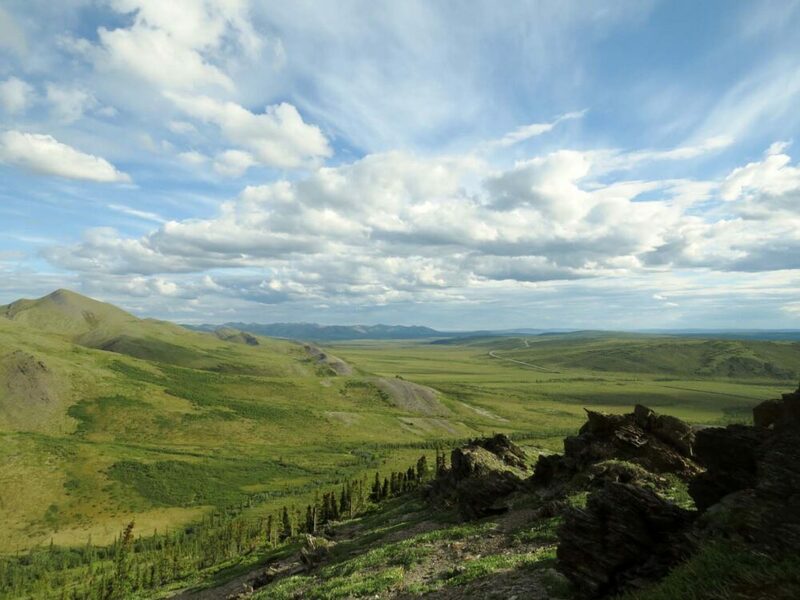 The Dempster highway travels through the traditional home of the Han, Gwich’in and Inuvialuit people. 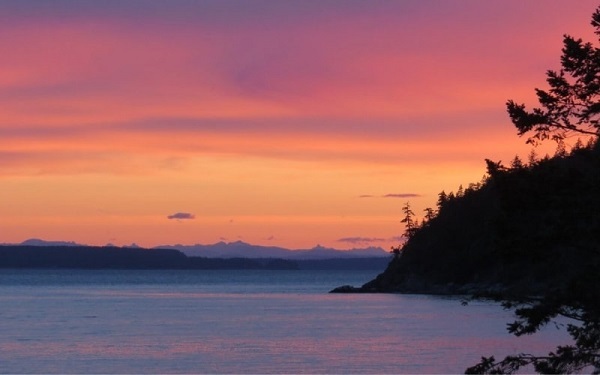 These lands have fed and sheltered generations of First Nation people. Hunting, fishing and trapping still remain an integral part of the life of many people living in the area. We met such generous and kind folks over the two weeks we travelled the Dempster and gained a much better appreciation and respect for the area and its people. Learning how to make Labrador tea, bannock and jam, JR also made sure to eat plenty of the traditionally smoked whitefish. 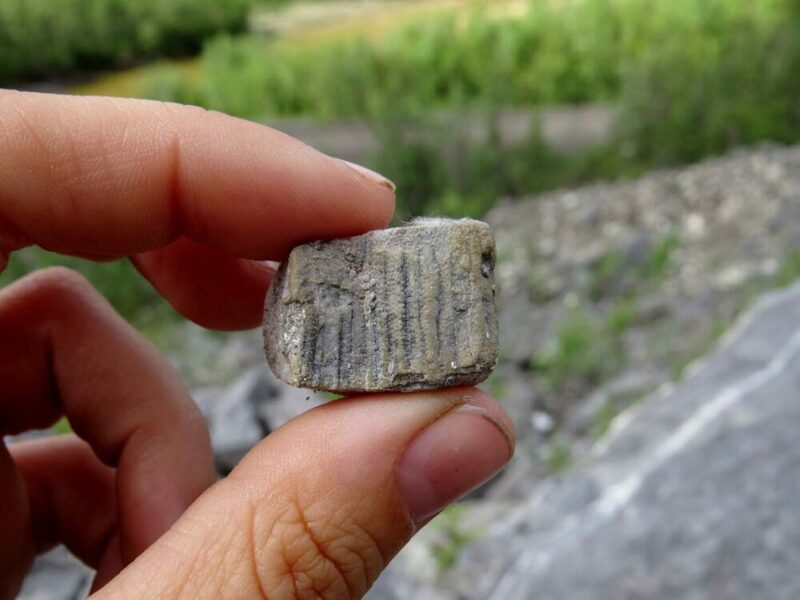 Another surprising part of the trip was finding fossilised coral next to Engineer Creek! Being so far north not only offered us the experience of 24-hour daylight but also that of hoards of mosquitoes and black flies trying to drink our blood. And by hoards, I mean millions and millions of them. Being outside of our vehicle was a huge challenge at times. 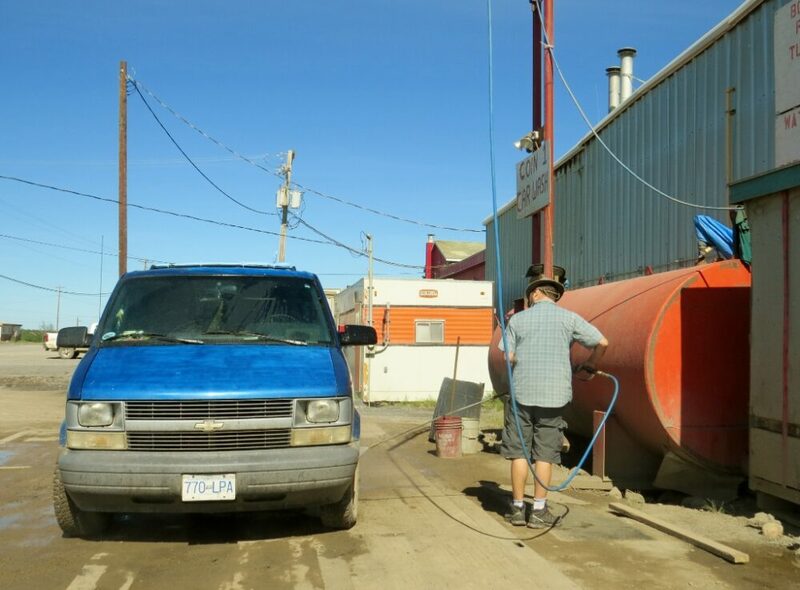 Even being inside the vehicle could be difficult – we do love our Astro Van, but a huge number of mosquitoes found their way in through the old vents and tormented us in our sleep, despite using a net. I still have flashbacks of the buzzing. Needless to say, bringing bug repellent is a necessity. 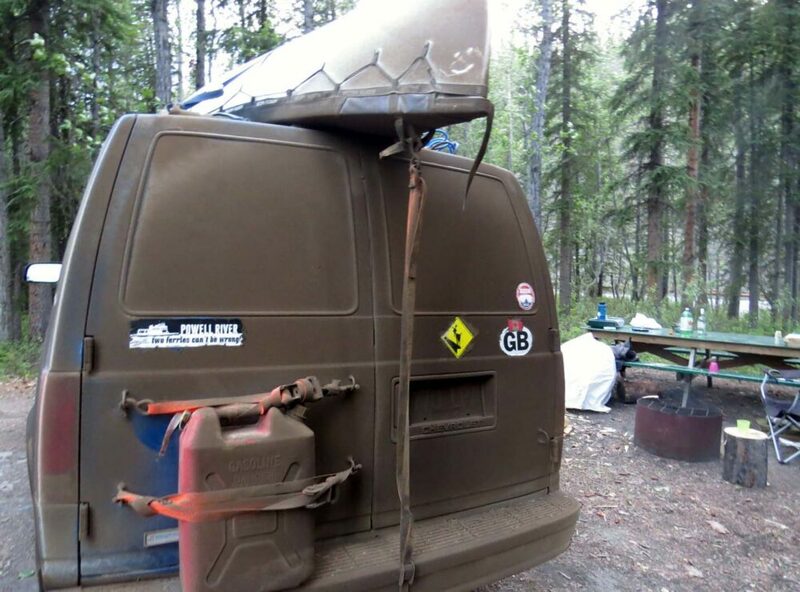 I also wouldn’t recommend camping in valleys – the Rock River campground (445km) was something of a breeding ground. The windy days were by far our favourite days on the Dempster. 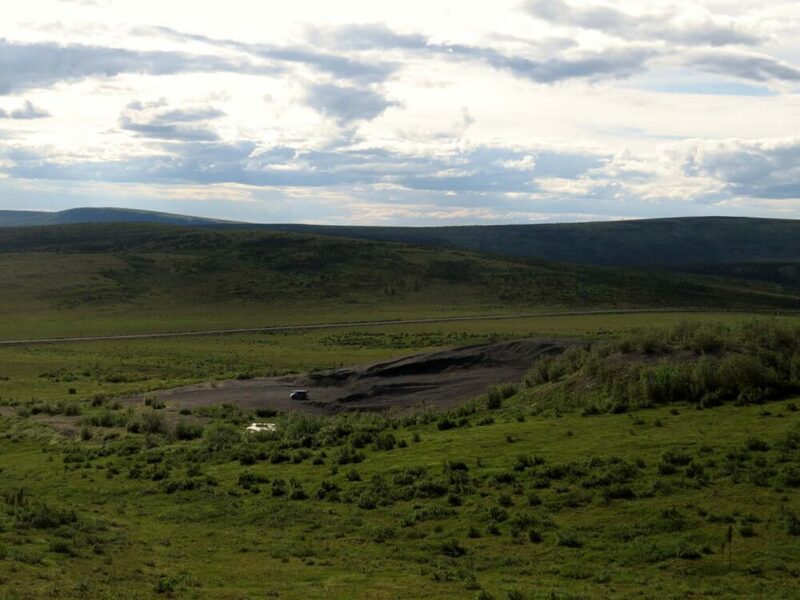 An example of the dirt you will collect when driving on Dempster Highway! 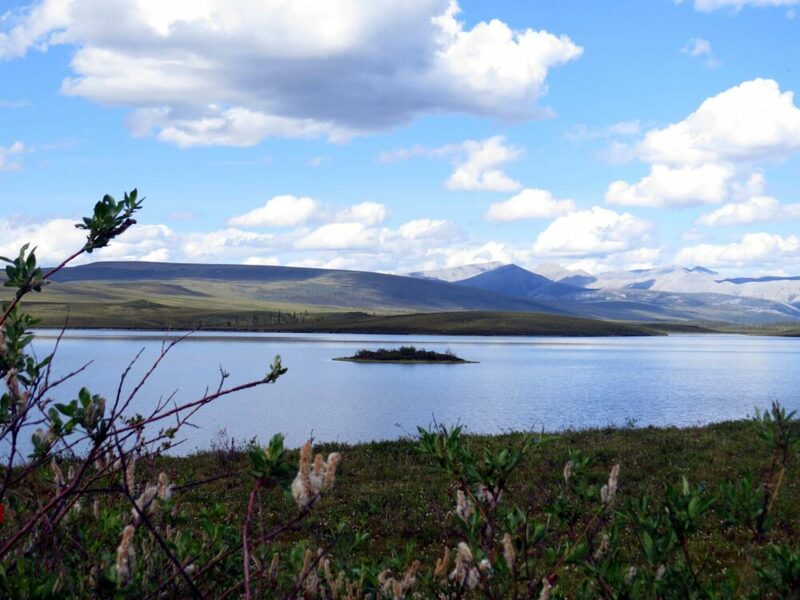 Tombstone Territorial Park – visit the Interpretive Centre for information on trails and camping. Samples of local food and drink (Bannock, Labrador tea) are occasionally offered. We did two overnight hikes in Tombstone – the first to Rake Mountain (off-trail) and then Grizzly Lake (on-trail). Two Moose Lake – Stop here at the pullout for bird and moose watching. 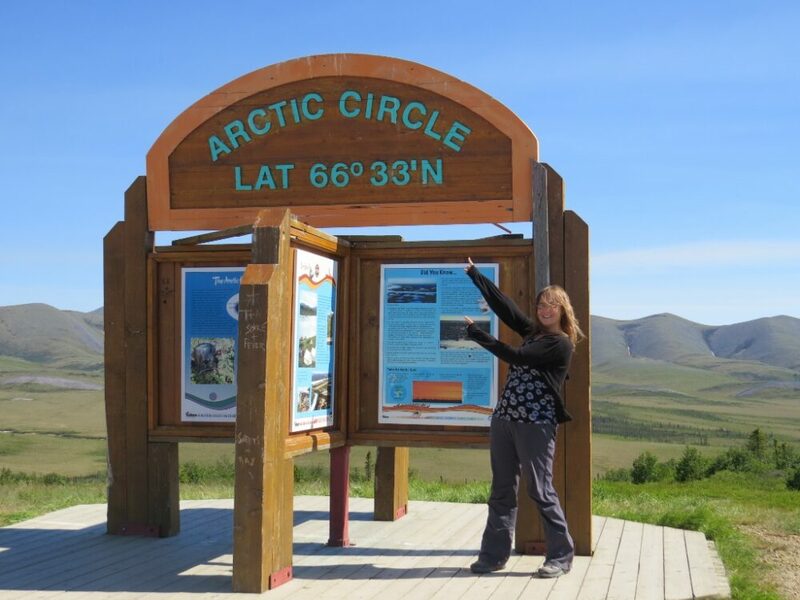 Arctic Circle Crossing – Gotta get that iconic photo! Looking to book a stay in Inuvik? 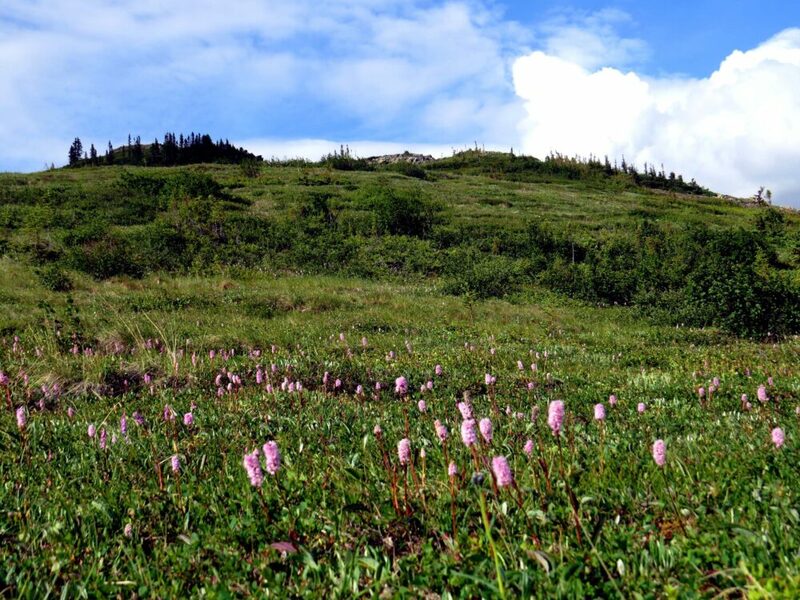 The truth of it is that the best time of year to drive on the Dempster Highway depends on what you want to see. Our trip was focused around the summer solstice because 1) it was my birthday on 21st June (longest birthday EVER!) and 2) it fitted well in with the rest of our summer plans. 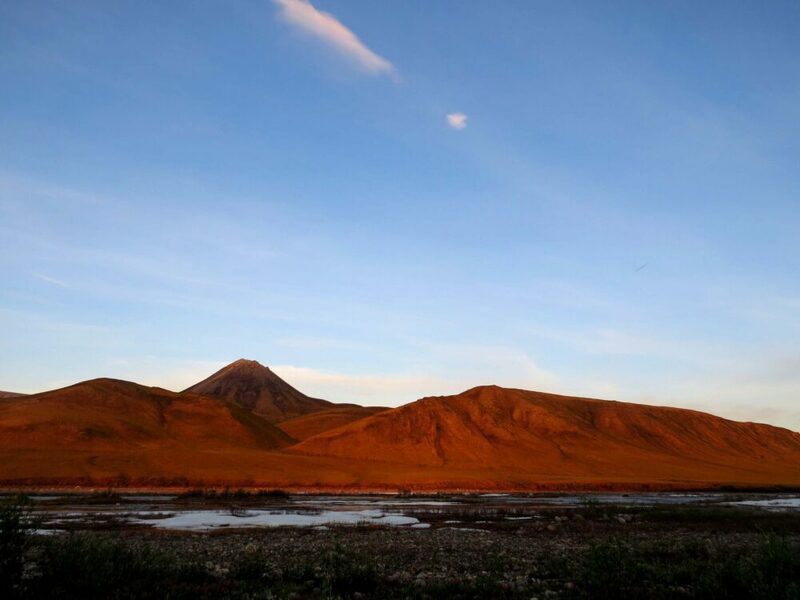 Travelling on the Dempster in mid-June, however, meant that the blackflies and mosquitoes were in full force, which is less of a problem later on in the season. 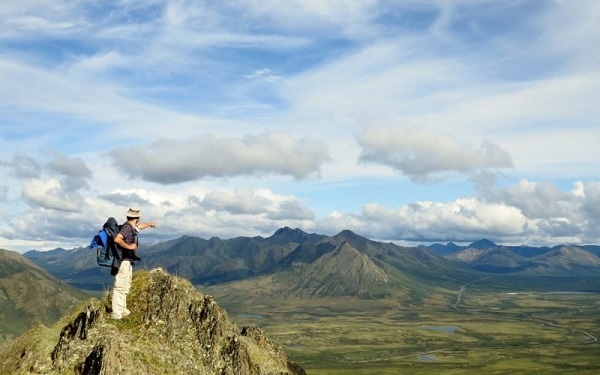 The early season timeframe also limited the hiking opportunities in Tombstone Territorial Park – the Grizzly Lake trail, for example, did not open until early July that year. 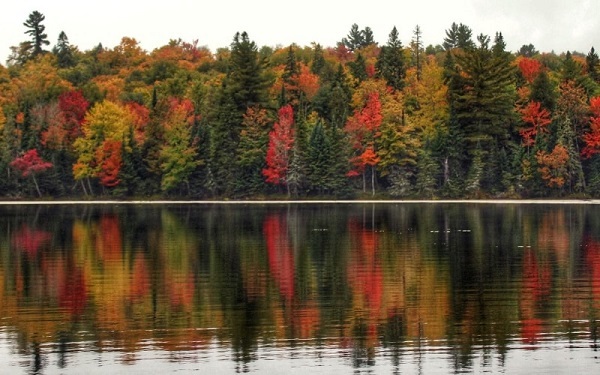 Another popular reason to visit later in the summer is the fiery fall colours that start appearing around August. 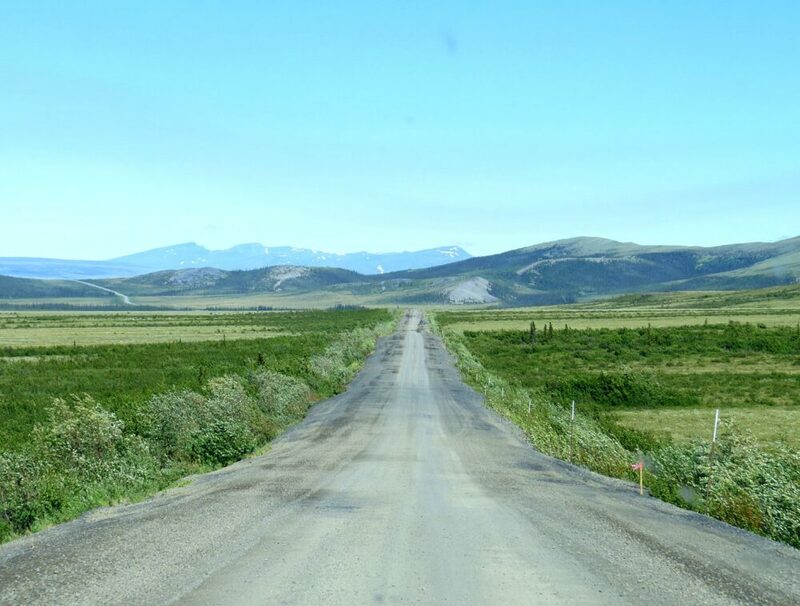 The Dempster Highway is a long road and rough in certain areas. While it is reasonably well maintained, your vehicle should be in decent enough shape to drive a couple thousand kilometres in the dirt. A good spare tire is essential as is a puncture repair kit, air compressor and jack. We lost a tire just before reaching the Arctic Circle and purchased a new one in Inuvik for the same price as it would have been in Vancouver! If you drive an older vehicle (like us), I’d also suggest bringing spare oil. Some kind of strong tape is also really helpful for covering the vehicle seals between doors to keep the dirt out. While we did buy a 25L gas can for the journey, we didn’t actually need it. Gas is very expensive in Inuvik ($1.89/l at the time) but you can also fill up in Eagle Plains (369km) and Fort McPherson (551km). 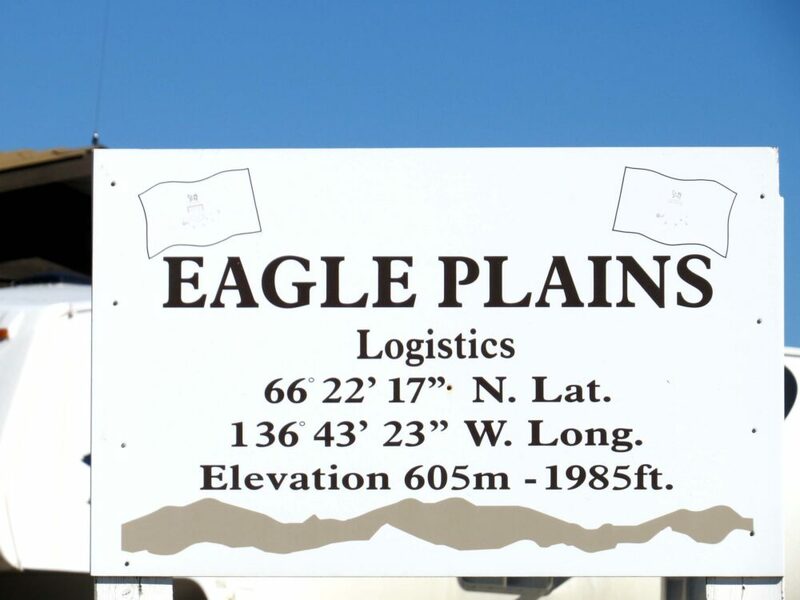 I think bringing gas may come into play if you plan to drive the Dempster in a short amount of time (two to three days), and therefore the gas stations in Eagle Plains and Fort McPherson may be closed. Driving-wise, my main tip is that if the road is wet DRIVE SLOWLY. The road becomes exceptionally slippery when wet and being that most of the road is elevated due to the permafrost underneath if you slip off, you’re going into a big ditch. My recommendation is to get off the road when it is raining heavily. This is another reason not to do this trip in just a few days – I would suggest four days as a minimum. Pick up any needed supplies in Whitehorse or Dawson City before heading to the Dempster Highway. Dawson City is only a 30-minute drive from the start of the Dempster, so well worth the round trip if you have forgotten something important. 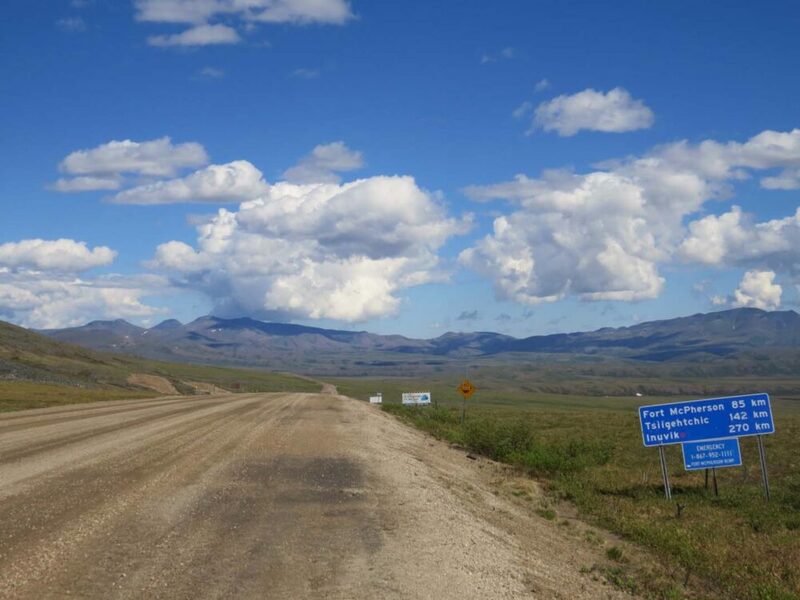 Expect to receive no phone signal at all on the majority of the Dempster Highway. Take your time and drive safe. 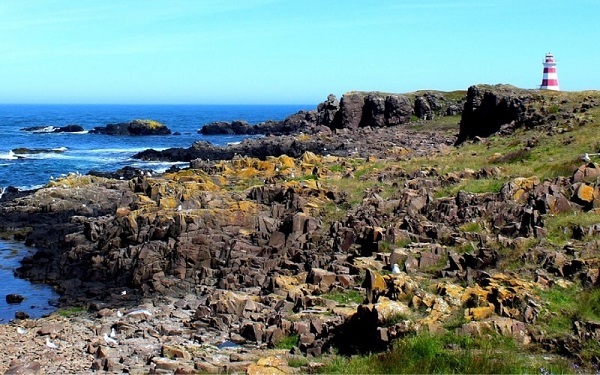 Get on Dempster-time and just enjoy one of the best road trips in the world! Up to date road conditions can be found on 511Yukon. The rustic campgrounds on the Dempster Highway have the bonus of covered shelters with screens on the windows, which are very useful for avoiding rain and bugs. The disadvantage is that these campgrounds are all located next to water sources with very little wind. Consequently, they can be very buggy. If you need to get clean, there are showers at the halfway point at Eagle Plains. We did not stay at this Dempster Highway campground (next to the hotel) but asked if we could use the showers and were told to just go ahead. 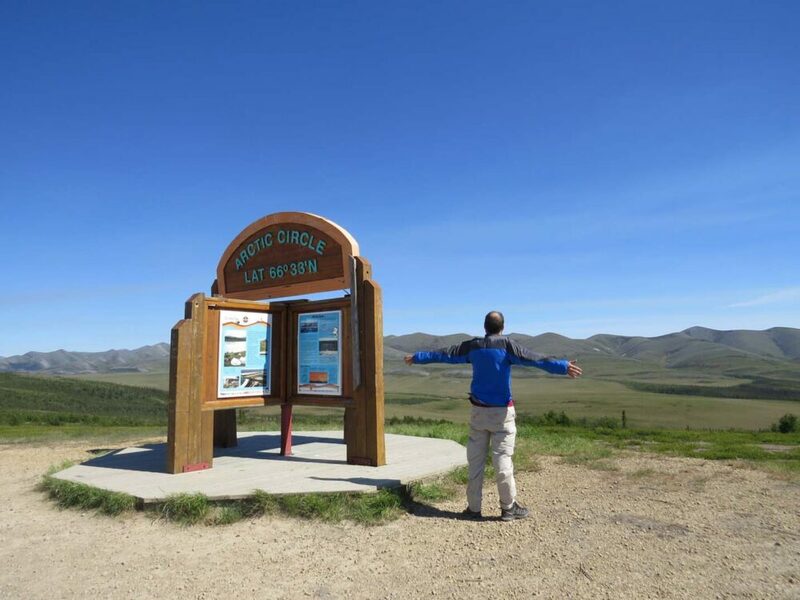 Here are a few must-have items for any summer Dempster Highway road trip, tried and tested by us! 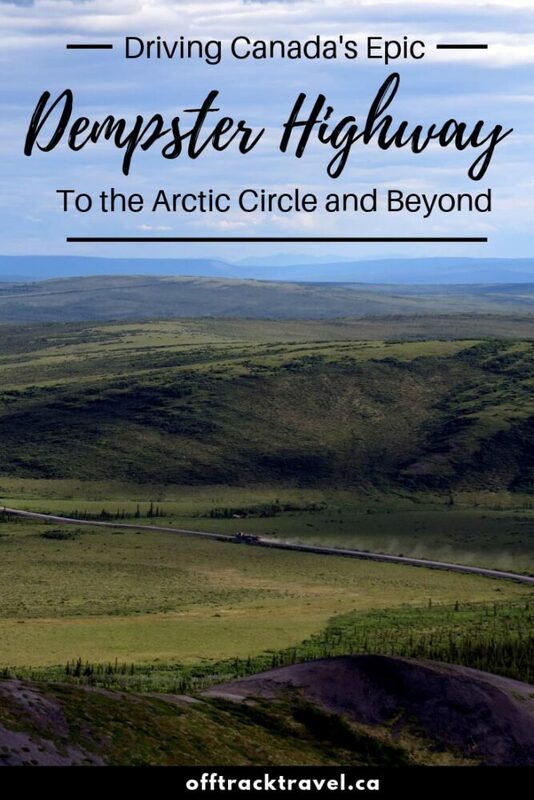 The Milepost Travel Planner – a mile-by-mile account of the Dempster Highway, plus every other major highway in Alaska and Yukon. Bug Repellent Spray – Don’t even question it. If you liked this post, PIN or save this post for future reference with one of the above images! Haha yeah it was definitely the dirtiest road trip I’ve ever been on! We washed it at the half way point too! 24 hours of sunlight – I need to experience it one day for sure. Was there any kind of twilight type period, or was it like the middle of the day for the whole time? Great article; it gave me another thing to think about for when I finally make it to Canada. It is certainly a one-of-a-kind experience! When we were in Inuvik (2 degrees further above the Arctic Circle) while we saw the sun in different areas of the sky, we never saw it dip below the horizon. Just below the Arctic Circle, we experienced twilight at around 4am/5am in the morning. You know the ‘golden hour’ around sunrise/sunset? (http://en.wikipedia.org/wiki/Golden_hour_%28photography%29) – it lasted hours and hours. It was pretty awesome! I enjoyed this story (and your photos) a lot. It is interesting to read how are the condition on other parts of the planet (I guess I don’t think about 24 hours of light often). Thanks for sharing. Thanks for your comment Ruth! 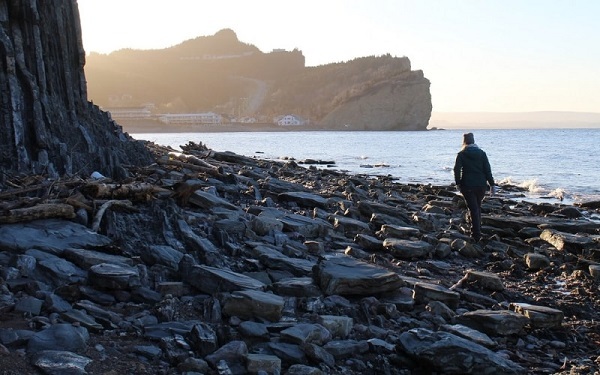 I had never really thought about the implications of 24 hours of daylight either before we drove to the Arctic Circle; I didn’t think I would ever experience it! 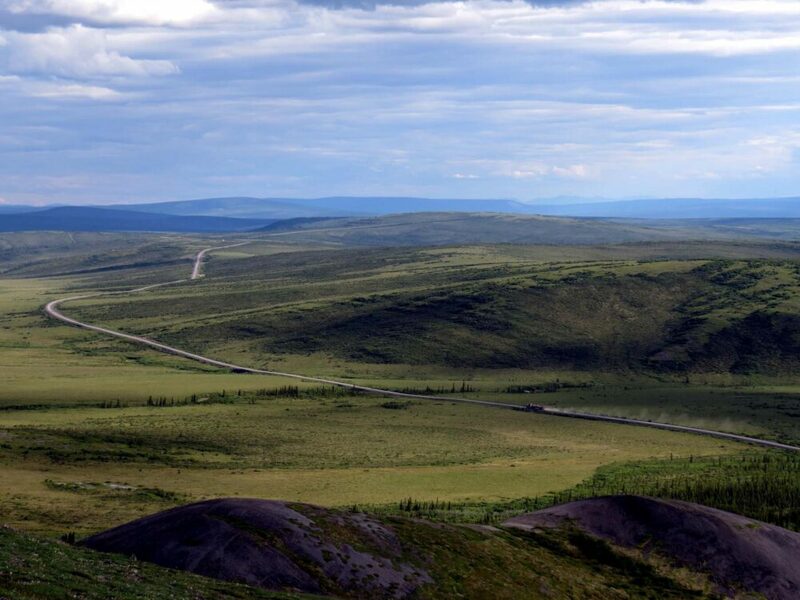 So many people only see a tiny bit of the Dempster Highway (as far as Tombstone typically), rush through (I add 1 day to the 4 you suggest as the minimum) or go with some preconceived notions that stunts their perception. I’ve driven it perhaps 30 times since my first time in 1990, usually driving a large tour bus, and just plain love it. The first time I was in Inuvik was on June 21st, 1985 (I flew up that time so only saw the highway from 6,000 feet or so), and have a photo of the sun hitting the flags at the airport terminal at midnight – it didn’t come close to the horizon as many photos suggest. I hope to get back this year for a week or so with my motorhome, but may wait until next year when the road to Tuk opens. Wow, 30 times! That’s awesome. I had a hard time considering whether to suggest four or five days, but I ended up with four so it didn’t seem too inaccessible for people. I think five is a great idea though – two up, two down and one in Inuvik and around – my interpretation anyway! We’ll potentially be back on the Dempster in either 2016 or 2017 – JR is hoping to paddle the Mackenzie River all the way to Tuk (I’m not sure if I will be joining him yet). As soon as I started reading this post, I got “Born to Be Wild” stuck in my head: Head out on the highway – Looking for adventure – In whatever comes our way! We have not ventured enough into Canada, let alone up to the Arctic Circle, but that would be a dream trip…even with the dirt and bugs. 😉 Thanks for sharing! Haha we are definitely like-minded, it is possible I had it in my head while I was writing it! It is a great trip, don’t let the bugs put you off! Just remember lots of bug spray and a net to put over your hat…or two. Thanks Lauren! It really is an amazingly epic trip! Wow..that is one beautiful highway and road trip. The scenery is just stunning and 24 hours of sunshine could be a little weird. We experienced it in Iceland. This is so worth enduring the bugs. What a great experience for you guys. The bugs were a pain, but are not what I will remember in years to come! My advice for others is not to go during the mid weeks of June though, when they are at their worst. Thanks for your comment Mary! Would love to drive the whole road in late August; hiked in the Tombstones for three days but didn’t get past the park. Great tips. Thanks for your comment Leigh! Loved your posts on Tombstone Park. This drive would certainly look quite different in late August; the colours seen in your photos inspires me to do it all over again! Driven the Dempster 6 times now and it always impresses. One of Canada’s and North America’s premier drives. What is the best month to drive it….June or July? 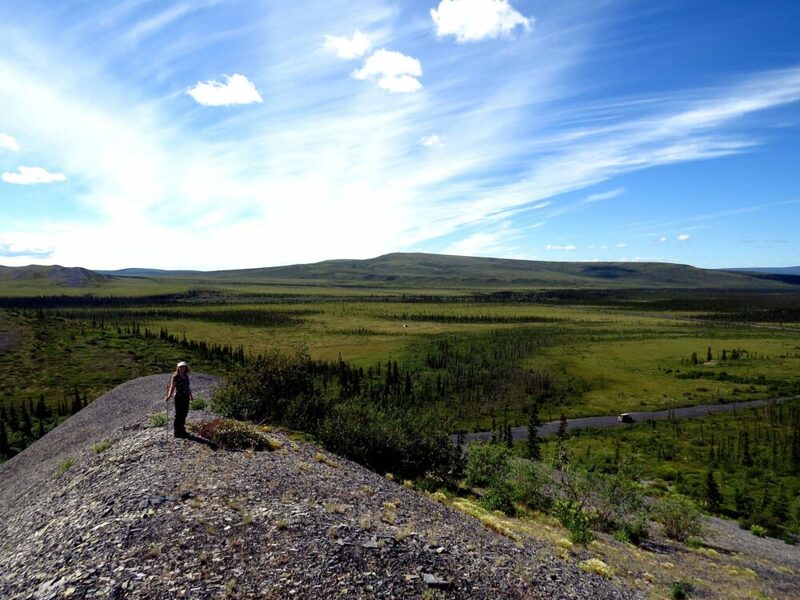 We drove the Dempster during both months and I’d say July of the two. The locals told us that June is generally more buggy, which was definitely true in our experience. If you’re interested in hiking in Tombstone Territorial Park at all, I’d aim for July as the snow is more likely to be cleared out then. Thanks a lot for the trip blog/story. I’m planning to drive to Inuvik in June/July 2016 from Toronto! My crazy bucket list is to DRIVE to every US State and Canadian Province and Territory. I did a ‘practice run’ by driving from Toronto to Los Angeles (via Calgary) and coming back through Seattle and the Rockies over the Christmas/New Year winter break. I plan to take my bike on my roof rack on a Nissan Altima sedan. i have to full spare tires, fuel can and extra jack. Any other advise for me? The Altima is pretty low and that’s my main worry about the Dempster. Thanks a lot….and keep travelling! Chinedu…. (my friends call me Chi). Great to hear from you! I would also recommend a tire patch kit and an air compressor. We didn’t have the latter and came to find our spare tie deflated and had to flag someone down to fix it. Also, duct tape to tape around windows/doors to keep the dust out! Have fun driving the Dempster! We are planning this same trip in July. We are going in a older model RV (mid 80s). In your opinion, can this road accommodate an RV? Hi Shawn, you must be so excited for your trip! I’m a bit jealous! We saw RVs of all shapes and sizes on the Dempster and at the end of the road in Inuvik. 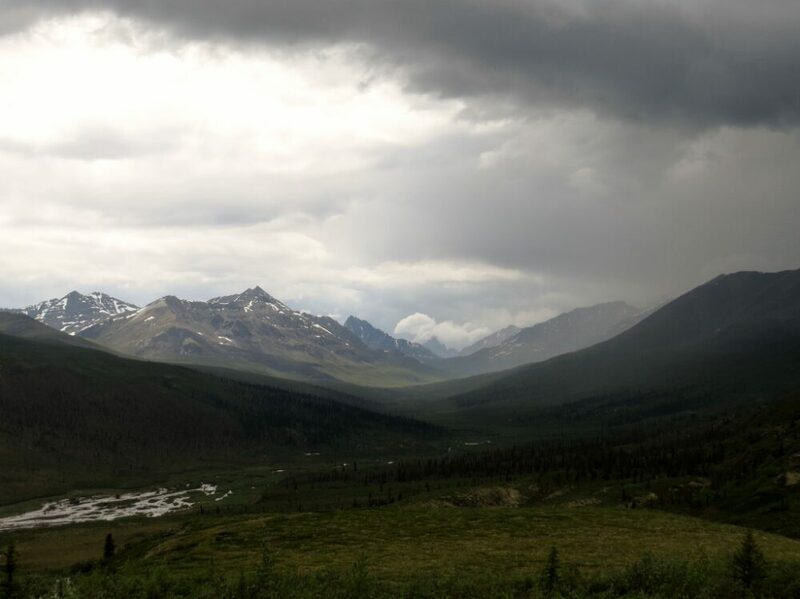 The biggest piece of advice I can give you is not to rush driving the Dempster – when we did see RVs having problems, it was because they were driving too fast and/or on the road after rain. The road surface gets very slippy when wet so can be dangerous for larger vehicles at this time. If you can allocate enough time to drive the road (e.g. more than 4 days!) carefully and are pretty self sustainable, then you’ll probably be fine. Im a 65 year old women been to the Yukon many times. Im doing the dempster this summer. Just me and my dog. I like to fish and while im fishing should I travel with a rifle or gun? Thanks for sharing! I am planning to drive it this summer with 4 of our kids (19, 14, 13 and 11) with out tent trailer! We are doing Niagara Falls to Anchorage, to Inivik, Whitehorse and home again. We’re there good food options in Inivik? I’m so excited but a little worried about the drive. 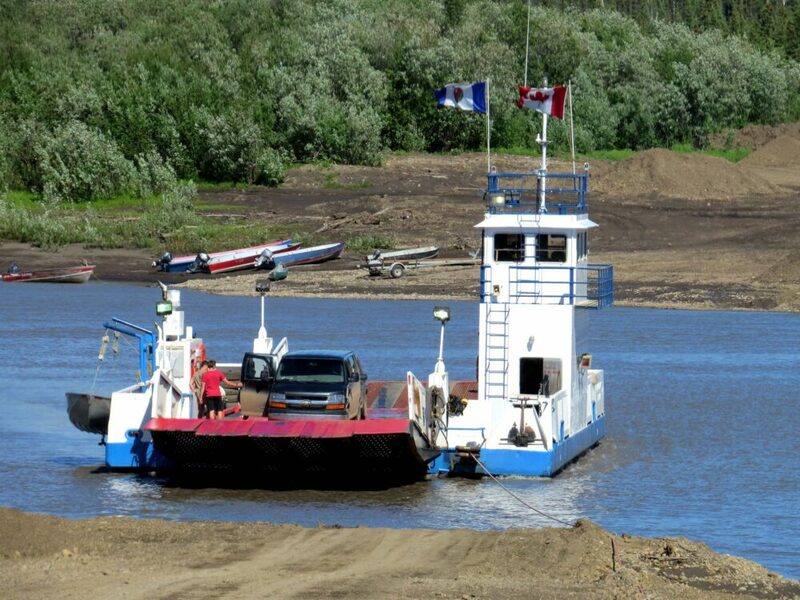 I am excited to be planning my journey from Kelowna BC to Inuvik. 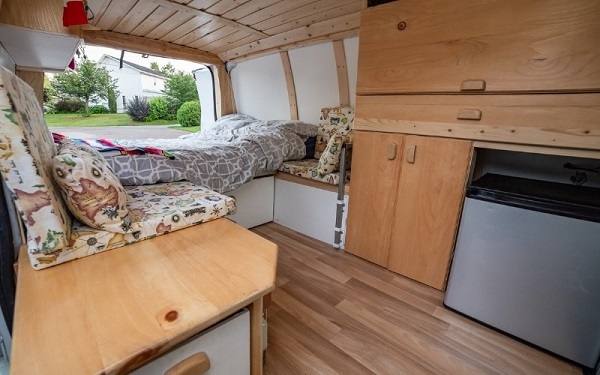 I just bought a new Sprinter motorhome and this will be its maiden voyage. I going in style which is nice because basically I can pull over anywhere, take a hot shower, cook some food and pull out the sofa to a full queen size bed. I even have solar panels on the roof and a generator. I am curious if anyone knows if I can buy propane along the way as the motorhome has a propane tank built in for hot water heater and stove. I’m guessing propane is common;y used there? Your plans sound awesome – we love Sprinter vans! I believe propane can be purchased at Eagle Plains service station (half way) plus definitely in Inuvik. Have enough gas a on way to Inuvik from Whitehorse? One day I’ll still do that way, but I want to go bike! 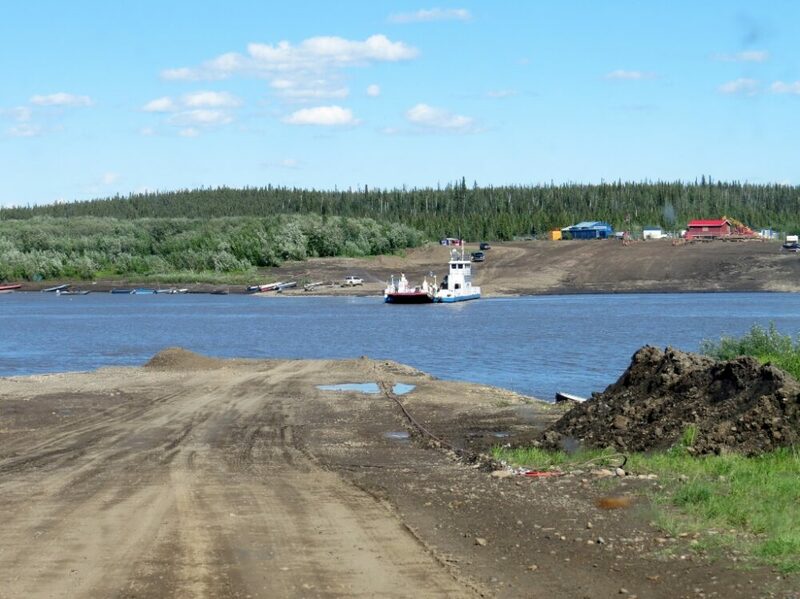 My husband and I drove the ALASKA and TOK to DAWSON 45 years ago – oh the gravel! We went through five tires and two windshields. We were moving from Victoria to Ottawa and decided we needed a detour. Loved every minute of it – ferries to Haines and then drove the rest. We still talk about it. The Dempster was just a baby of about 10KM then. Always said we’d be back and at 75, looks like this is the year. Thanks for all your hints. 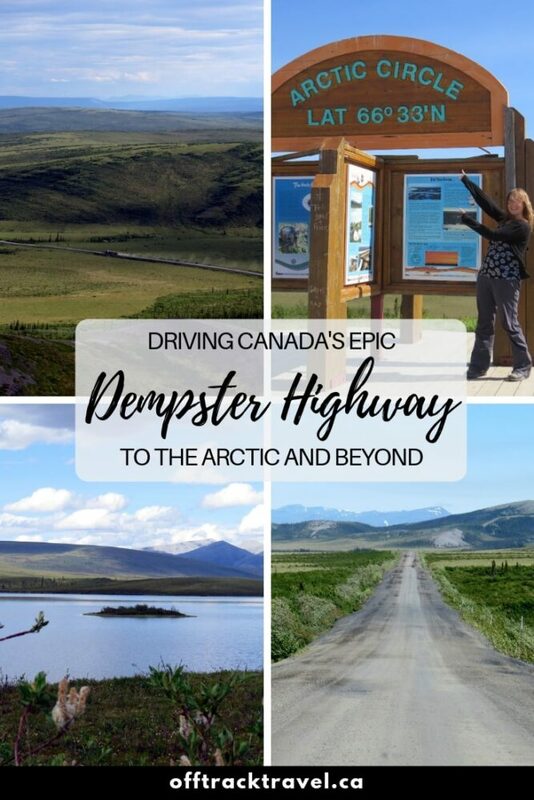 We saw lots of large motorhomes travelling the Dempster – the main thing I would be careful about is how slippy the road is when wet. So make sure you have plenty of time to tackle the drive i.e. don’t only allow 2 days to do it all, put aside a week and travel slowly. What a great and informative read. Thank you. My Wife and I will be heading north to Inuvik (and beyond hopefully) next summer. I enjoyed the report, and to top it off I just noticed you are also from Penticton. How’s that for a random google search coincidence? Thanks again. This may be a ridiculous question, but could you drive the highway in a car? Or would that be a horrible idea? Also, why do people go through tires? Just wondering, I’m an SK girl and drive on gravel all the time. Not a ridiculous question at all! I don’t see why you couldn’t drive it in an average car because there is no clearance issue, but personally I’d want to drive a vehicle with AWD. The surface of the road is sharp shale – this rock can really damage tires. We lived on Vancouver Island for 2.5 years and drove A LOT of gravel/dirt logging roads and never lost a tire…but the surface of the Dempster is different. I first drove the Dempster around 1986 in a convertable with low profile tires. Had 1 slow leak pulling into Inuvik where they fortunately had a replacement tire. So, cars are fine. Drove it last year as part of a 44 day trip.in Western Canada and Alaska. It was my favorite part of trip; I now want to drive to Tuk. If interested, videos are on YouTube DigitalByDoiron. Thanks for refreshing fond memories! You’re welcome Mark! Glad you liked the post. 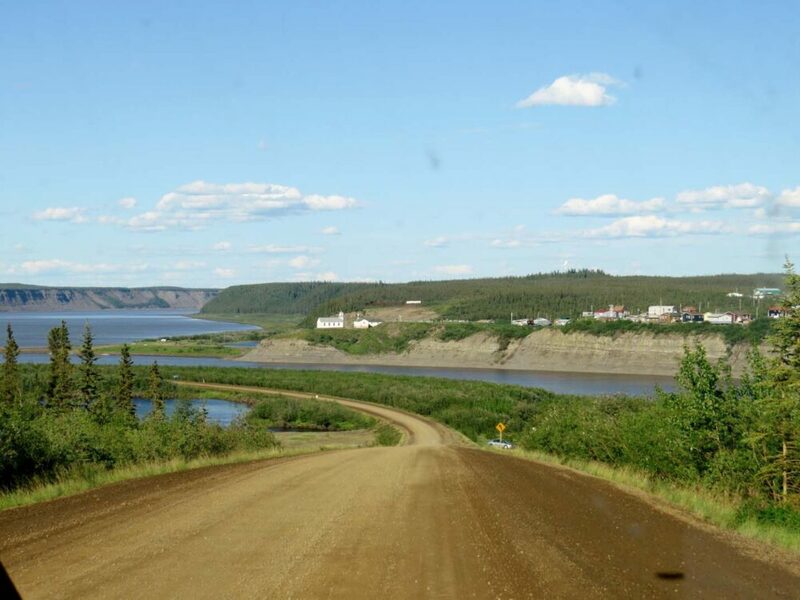 We also want to return to the Dempster to drive to Tuk! 45 years ago (1973) my husband and I relocated from Victoria to Ottawa. We took a little detour up to Anchorage (via ferry) and then drove the Alaska Hgh via Road at the Top of the World to Dawson. Stopped at the entrance to the Dempster – had barely started and always said we’d be back. Your article is great – think it’ll be now before we’re toooooo old (mid 70’s now). Our son drove it six years ago and keeps at us. Thanks for the article, your encouragement and great advice. Fingers crossed for this year. Sounds like a great plan Carol! I hope you two make it, driving the Dempster is just a wonderful experience. Do let me know how it goes. The bugs sound like the biggest challenge…..and tires! Sounds like it will be an awesome trip! The bugs are definitely the biggest challenge by far on the Dempster, especially in June. Good luck!